Oats have long been used for soothing skin conditions, and are now known to be highly emollient with no dermal irritation and sensitivity. Because this oil is so rich in antioxidants and tocopherols and has natural emulsifiers, formulators may find they can reduce the amount of chemical emulsifiers in their product. Oat oil's fatty acid composition includes over 40% omega fatty acids. It is rich in unsaturated fatty acids such as oleic and linoleic acid. Additionally, this oil is a noteworthy source of anti-oxidants and glycolipids. The antioxidants present in this oil confer excellent stability. Oat oil is typically a yellowish to brown color with a bland odor. 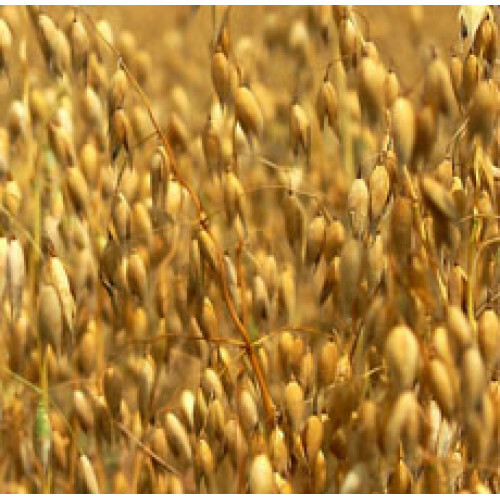 In food applications, oat oil is considered as an effective emulsifier and antioxidant. Oat oil can also be used as an alternative to traditional oat flakes. Oat oil is a unique ingredient for cosmetics due to its high level of ceramides compared to other oils, as well as its moisturizing vitamin E content. Ceramides are a long chain of lipid molecules that are praised for their moisture-retention capabilities. Interestingly, 50% of human skin is composed of ceramides. This semi-refined oil is said to have a non-greasy feeling and is easily absorbed into the skin. Oats have long been used for soothing skin conditions, and are now known to be highly emollient with no dermal irritation and sensitivity. Because this oil is so rich in antioxidants and tocopherols and has natural emulsifiers, formulators may find they can reduce the amount of chemical emulsifiers in their product.